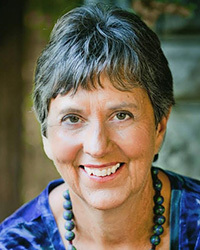 Linda Graham, MFT, is an experienced psychotherapist and meditation teacher who integrates modern neuroscience, mindfulness practices and relational psychology in her nationwide trainings. She is the author of Bouncing Back: Rewiring Your Brain for Maximum Resilience and Well-Being and posts monthly e-newsletters on Healing and Awakening into Aliveness and Wholeness archived at www.lindagraham-mft.net. When a recent storm blew through the Bay Area, it knocked out a transformer on my block: no electricity, no lights, no heat, no refrigerator, no stove, no phone, no internet for 36 hours. I coped fairly well until the morning when I wanted to re-connect with my world. I noticed I was beginning to have a mini-meltdown; so many projects to create, send, track. I could feel the bodily contraction into frustration and worry, noticed the pacing, sensed I was close to hair pulling and nail-biting. May I accept myself exactly as I am in this moment. May I give myself al the compassion and courageous action I need. Not that mindful self-compassion solves our problems. It doesn’t. But it does help create the spaciousness in our minds and then perhaps offer us a moment of gratitude for these practices that help us see more clearly and act more wisely.